Just a reminder to those of you who purchased an Xbox 360 Elite already. 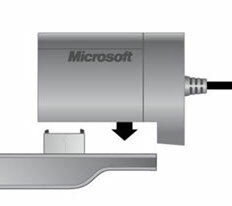 If you fill out a migration kit order form included with your machine, Microsoft will send you a cable free of charge. It's free for a limited time, since Microsoft didn't really target Elite at upgraders, but didn't want to piss them off either. Grab one and transfer your stuff already. Update: There's some confusion as to what the transfer process does. If you don't use this cable to transfer, yes you lose your downloaded game videos which you can download again, but you also lose access to your Arcade games, which end up as demos if you try and download them again. Also, it doesn't render the 20GB one useless. It just wipes out the old data on there. You can still use it as a spare drive.